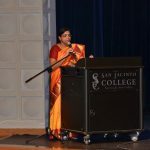 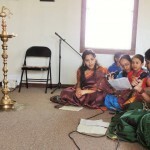 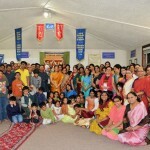 Categories: Houston Namadwaar Event, Namadwaar Anniversary, Social-Environment. 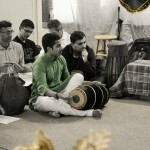 Global Organization for Divinity (GOD) and Love to Share Foundation celebrated the fifth anniversary of Houston Namadwaar Prayer House on March 7 and 8 2015 with Nama sankirtan and community service respectively. 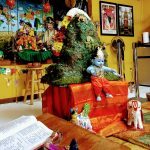 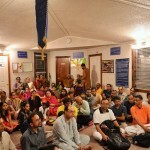 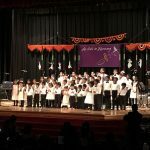 To commemorate the occasion, GOD Houston performed 48 continuous days of Mahamantra kirtan at different Houston-area homes, which came to a conclusion on the anniversary day. 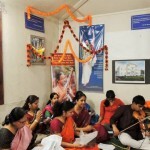 Also, there was an ongoing endeavor to render the almost 600 divine musical compositions of HH Sri Sri Muralidhara Swamiji in Namadwaar, that had commenced in December. 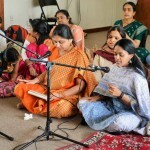 This endeavor too, fittingly, was completed during Namadwaar’s anniversary celebration, with continuous 12 hours of singing. 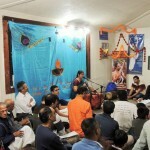 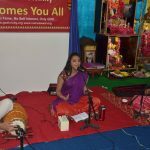 The concluding session of this all-day bhajan was led by many singers from around the Houston area on March 7 evening. 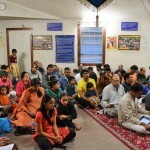 This was followed by a discourse on the greatness of the Divine Name by Smt. 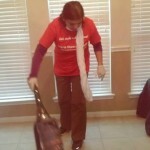 Hema Kalyan from Dallas. 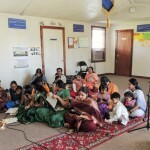 The day’s program concluded with a commemorative live telephone message from India by Sri Ramanujamji, who spoke about the purpose and essence of Nama and Namadwaar. 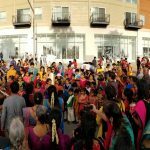 Sri Sri Muralidhara Swamiji had also given a blessing message for the occasion, which was then read out to all who were present.Over 100 devotees attended the celebration on Saturday evening. 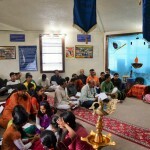 On Sunday, March 8 2015, continuous Mahamantra chanting was performed for 12 hours. 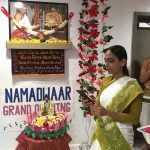 Also, as in previous years, Love to Share Foundation (LTSF) performed community service on the occasion of Namadwaar’s anniversary. 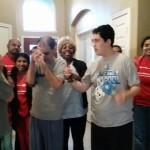 This year’s service was for Forgotten Angels, a Pearland-area nonprofit that provides housing and care for people with disabilities and special-needs. 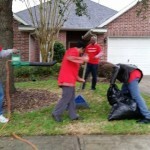 On March 8, LTSF volunteers trimmed bushes and spring cleaned homes that house Forgotten Angels’ care-receivers.